How can mining companies attract more young talent? Mines and Money (MM) What’s the biggest challenge facing the mining industry? 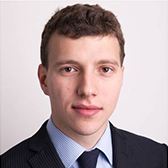 Aleksandar Popovic (AP): The market has just come from 4 to 5 years of poor margins with bloated balance sheets. The mining industry doubled in size in the two decades before. For example, steel production doubled from 1bn to 2bn tonnes. However, the industry struggled to deal with the new expectations caused by rising Chinese demand. Mining companies were forced to change. They streamlined their operations and prices recovered. Now margins are some of the highest on record. We’ve seen a rebound over the last 24 months. Majors have posted very strong cashflows and profits. Costs have been lowered. So, we’ve been in a sweet spot over the last year in terms of profits. The money has been used to pay off debt and reward shareholders. This has done a lot towards appeasing investors who had been unhappy with the poor return on capital record in the industry. Much attention in the media over the past year has been given to the question of whether we have entered or are entering another “boom” and when, not if, majors will splash more money on large-scale developments. Indeed, while prices (and certainly margins) have recovered to levels last seen during the “megacycle”, the drivers behind the most recent run-up in prices have been fundamentally different – and so will be the response of miners. Returning cash to shareholders (through dividends and share repurchases) and clarifying dividend policies was an important theme in 2018. Investors need the rewarding for sticking with the industry over the last 3-4 years when the sector consistently underperformed in terms of returns to shareholders. This appears a necessary step to regain investor confidence though we would argue that this is not a sustainable or attractive long-term strategy and, with cash holdings building and opportunities for value creation opening up, the expectation is that players (at least those with a healthier balance sheet) will carefully return to both organic and in-organic sources of growth. In the meantime however, buying back shares and investing in and managing supply side fundamentals such as technology, productivity and labour relations remains the top corporate priority. Mining companies have committed to another set of productivity targets and operational improvements – at least for now the lessons from the past cycle appear to be in place. Importantly, balancing capital discipline with the growth agenda will require considerable care and skill to execute successfully. Investors will call for mining and metals companies to build resilient, multicycle portfolios that offer sustainable returns to shareholders. AP: Firstly, there is the problem that some hot commodities associated with certain jurisdictions have poor records, cobalt and DRC being an example. Secondly, there will also be a spotlight on the environment. Whenever you mine and move earth there is a responsibility to the surrounding community in terms of safety and sustainability. Thirdly, the industry needs to reinforce its reputation as a reliable and credible custodian of capital. The record of the past decade has been one of relative underperformance, in particular in sectors such as gold. MM: What did you study at university/higher education? Did it prepare you for the mining industry? Is enough being done at university/higher education level to promote mining? AP: It definitely helped me in having engineering conversations and gaining an understanding in operations and processing. It taught me the basic concepts. Where it fell short was that I would liked to have more exposure to the mining industry and more training in mineral economics. As Oil and Gas is the dominant part of the Extractives industry more of my course was focused on Oil and Gas. Therefore, coming out of university I was always more likely to go into the Oil and Gas industry. Having more modules on mining would have addressed this imbalance. MM: What one thing can the mining industry do to encourage more young people? AP: Whilst the public understand the role and importance of the oil and gas industry, the importance of the mining industry goes largely unnoticed. The mining industry needs to do a better role of promoting its importance in today’s society, which will become even more important as we move towards a lower carbon future. MM: What are bad recommendations you hear in your profession or area of expertise? AP: Don’t underestimate how people in the top jobs at a company can still make questionable decisions. There is always the investment bias in mining. Everyone wants growth, but sometimes you need to rein that urge in.